See ya in May – real soon! 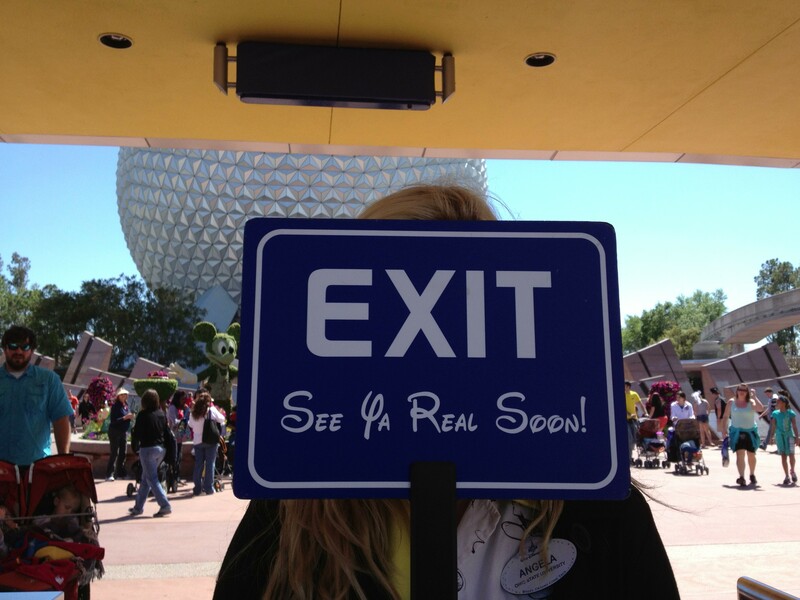 See ya in May – real soon!, originally uploaded by Erin *~*~*. 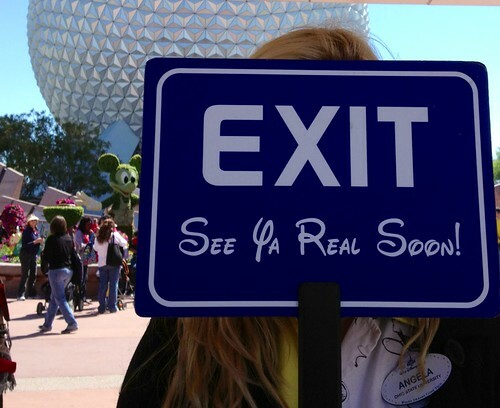 Cast Member at the exit obliged me for a photo of her sign. One of my favorite quotes ever! I will probably come back at the end of the festival, when family will visit Orlando once more. SEE YA REAL SOON!